Shares in Fiat are climbing on a German media report of a possible bid from Volkswagen for all or part of the $13 bln Italian carmaker. VW has enough on its plate. It’s hard to see the benefit of adopting Fiat’s problems. The logic of Fiat selling its Chrysler unit is weak too. 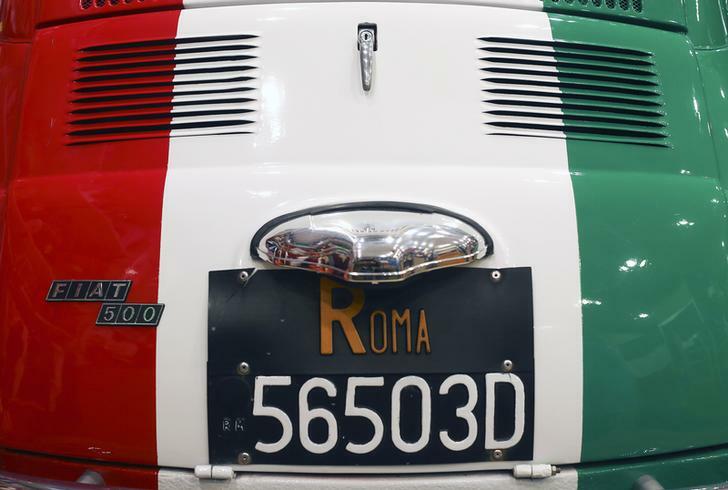 A Fiat 500 car in Italian national colors is seen in a shop in downtown Rome October 10, 2013. Volkswagen is considering buying all or part of Fiat Chrysler Automobiles and has held talks with the Italian carmaker’s biggest shareholder, German monthly “Manager Magazin” said on July 17, citing people close to the German company. Shares in Fiat jumped as much as 5 percent to 7.98 euros but lost most of their gains after Fiat and its controlling shareholder Exor said no merger talks with Volkswagen had happened. VW declined to comment.